The Concours d’ Elegance, an annual classic car show in its 33rd year, will be held on Sunday, June 13, 2010, at Cincinnati’s historic Ault Park. The 2010 event featured theme “International Designers and Coachbuilders”, is a tribute to the quality and craftsmanship of automobiles from around the world, with representation from the United States, France, Germany, Great Britain and Italy. In addition, there will be special displays of historic hotrods, a class named “Life’s a Beach” with vintage beach cars including the Ford Woody Wagon, VW Microbus, dune buggies and many others. There will also be a tribute to the 100th anniversary of Alfa Romeo that will include a display of pre-war through modern day Alfas. Additionally, the Concours includes thirteen other classes of automobiles ranging from brass-era antiques and full classics, to race cars and modern supercars. There will be something for every range of automotive enthusiast. 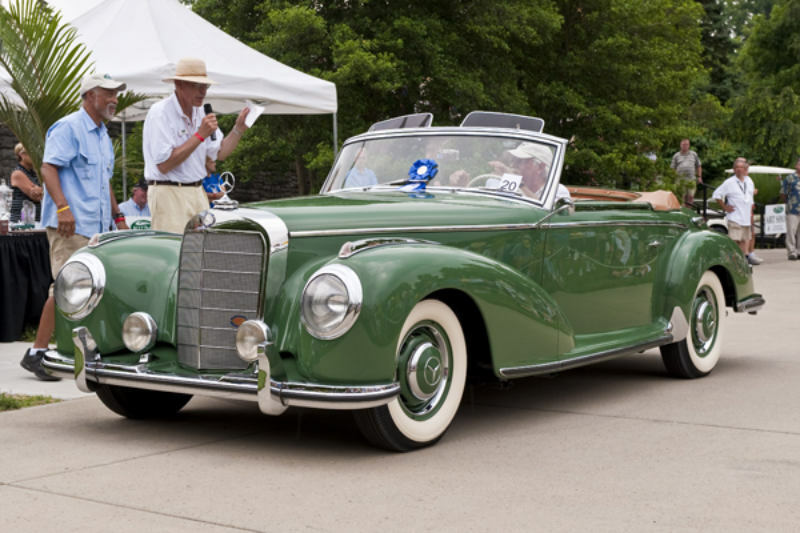 The 2009 event themed “Excellence in German Design & Engineering” featured 233 vehicles and drew nearly 5,000 attendees, both records for the Concours. The June 13th, 2010 public event will also feature The Will Sherman Automotive Art Show, vendor displays, concessions area and an awards ceremony. Sunday’s event will be accented by a fund raising Welcome Party on Friday, June 11, 2010. Adding to the weekend events is the Countryside Tour & Garage Party on Saturday, June 12, 2010.